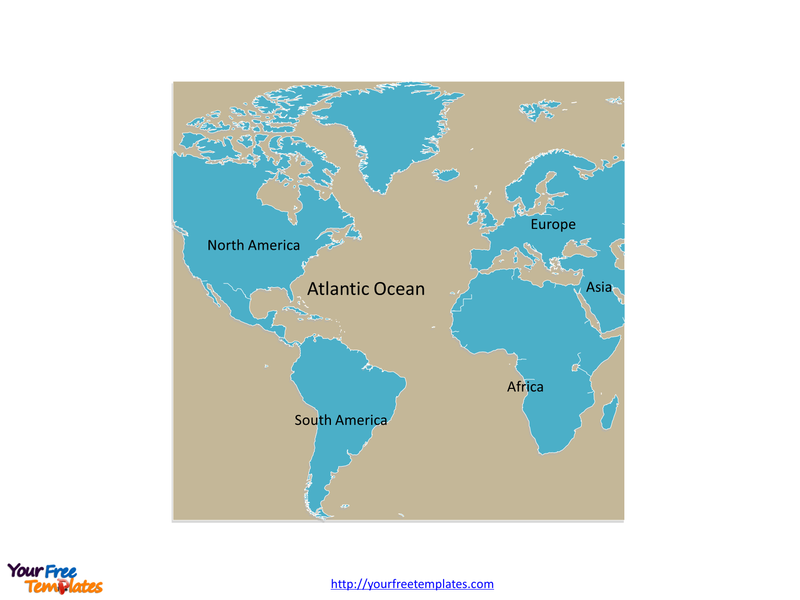 The Atlantic Ocean Map Template in PowerPoint format includes three slides, that is, the Atlantic Ocean outline map and political maps. Firstly, our Atlantic Ocean outline map template has relevant continent names on it. Secondly, there are 21 major countries labeled in our political map. Thirdly the same political map template has 15 important cities along the ocean coast. Our Ocean is the second largest of the world’s oceans with a total area of about 106,460,000 square kilometers after Pacific Ocean. The Ocean is forming with Eurasia and Africa from the east and the Americas from the west. Since the outline of the Ocean map has the continent names on it. 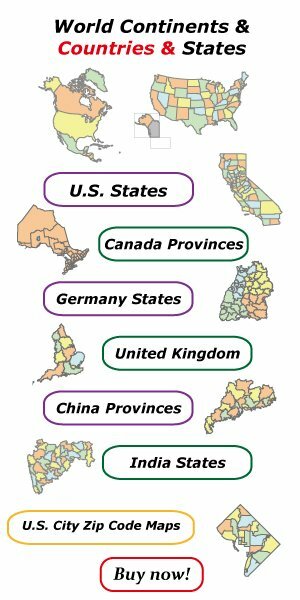 So users can edit those continent names to create their customized Atlantic maps and use in a variety of presentations. Slide 2, Atlantic Ocean map labeled with country names. The Ocean map is the country maps of 21 major countries with a coastline on the Atlantic Ocean. They are Norway, France, Germany, Russia, Spain, and United Kingdom from Europe; Algeria, Morocco, Nigeria, Namibia, Angola, and South Africa from Africa; Argentina, Brazil, Chile, Colombia, Venezuela, Canada, United States, Mexico, and Venezuela from South America and North America. 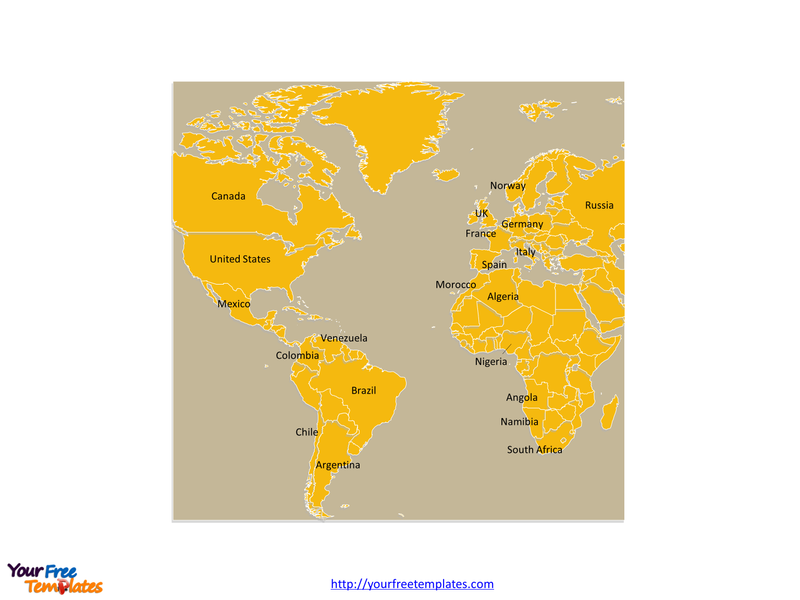 Because every country map is an editable shape on the slide, therefor you can add your texts, use your corporate colors, and expand or reduce the size of this vector map, highlight your targeted countries or regions, and add your project related material. Meanwhile you can also refer to the fully labeled map of this Ocean in Wikipedia. In summary, analysts, consultants and marketing managers can benefit from our professional PowerPoint templates, such as, save your time and make you focus on your core competence. Slide 3, Atlantic Ocean map labeled with major cities. The Ocean map is the country political maps of 15 important cities along the coast of the Ocean. Firstly there are five cities in Americas, which are Quebec City, New York, Jacksonville, Rio de Janeiro, and Buenos Aires. Secondly six ones from Africa are among the total that are Cape Town, Lagos, Dakar, Alexandria, Algiers, and Casablanca. Finally only four cities are from Europe, namely, Lisbon, Málaga, London, and Bergen. Alternately users can choose to keep the cities to their needs, so they can edit map of Atlantic Ocean to create their unique maps.